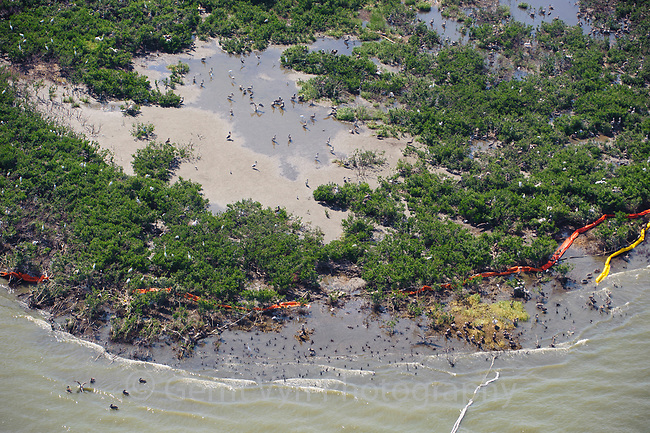 Displaced boom at a Brown Pelican (Pelecanus occidentalis) nesting colony in Barataria Bay. This colony was heavily oiled by the BP Gulf oil spill. Plaquemines Parish, Louisiana. July 2010.